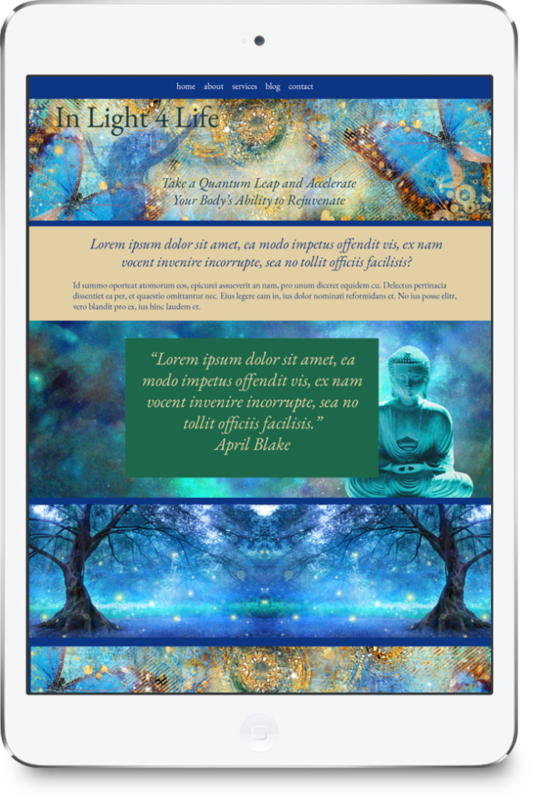 It is my pleasure to showcase these recent website designs created for our out-of-the-box, cutting edge, highly creative clients. In this showcase I am posting these clients’ before website and then the new one next to it. This helps to show the transformation of their brand from something that was too boring and even possibly deterred the right clients to a Soul Tribe attracting magnet. I hope you enjoy the showcase. The first smaller image is the “Before” and the larger iPad image is the “After.” Please comment below on which are your favorites. We’d love to hear from you! When Jeannette and Frank of Wadokyo came to us, they were aiming to expand their reach from Berlin where they have their Taiko drumming academy, to the international audience they know are seeking their style of transformation, including performance audiences and corporations. We began by updating their slogan to “Wadokyo: Experience the Universal Sound that Awakens the Senses, Changes Space and Time, and Creates a Community of One” and then to communicate this message. Then we updated the logo to include a Japanese ensō symbolizing oneness, absolute enlightenment, strength, elegance, the universe, and mu (the void). While keeping a touch of red, we changed the brand color scheme to gold with black for an enhanced, more stylish appeal. Whenever we create a website, we take steps to ensure that it is beautiful, engaging, and mobile friendly. Each action we want visitors to take is clearly stated in the text and designed into the layout. 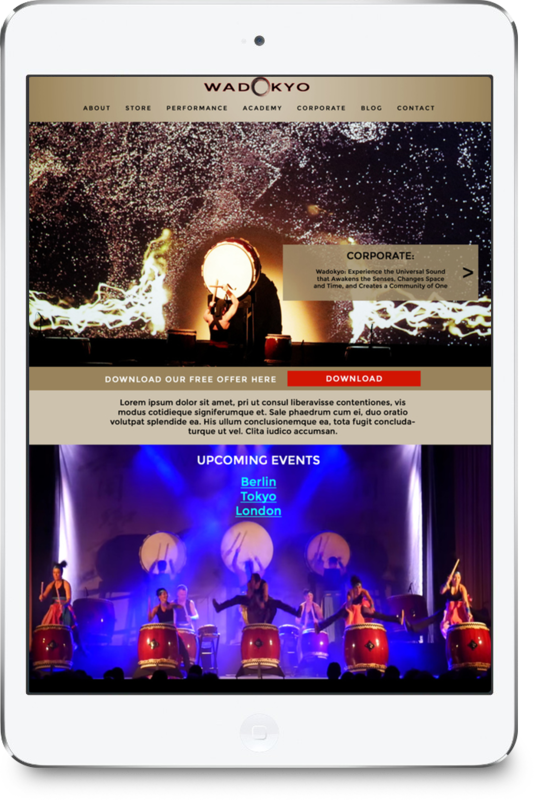 For Wadokyo, we had three distinct audiences (Corporate, Performance and Academy) and we wanted to ensure the site visitors knew what pages to visit. To facilitate this we featured three rotating banners at the top that lead the three audiences to their appropriate destinations. We wrote the copy in both German and English and installed a language translation plugin to assist in their global expansion. We showcased the best photos from their performances to express the beauty, artistry, and high vibration of the Taiko drumming experience. 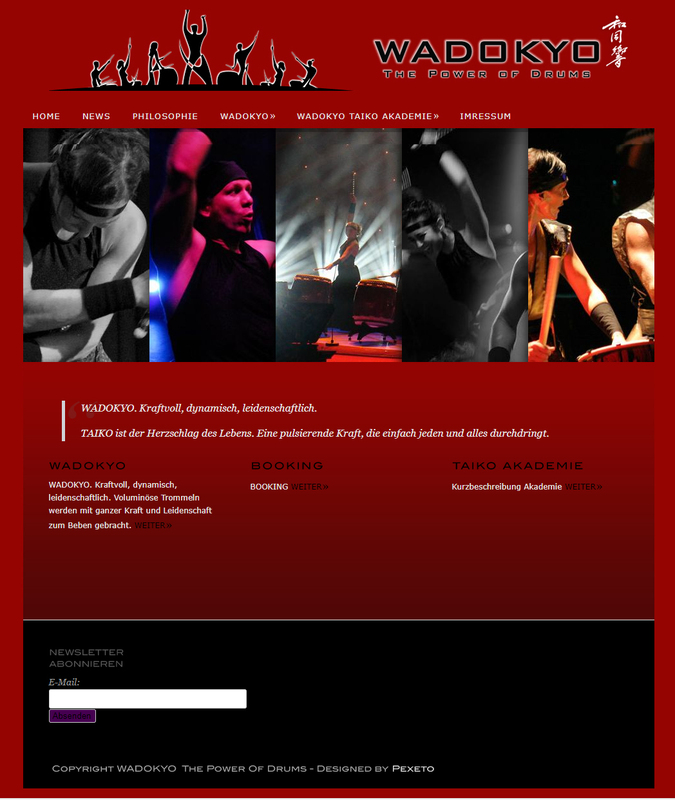 Videos are also included to provide the online visitor with a glimpse into the power of Taiko. This site is scheduled to launch this June. We will update this post with the link when it is ready. Kristine Rose Grant has a talent for helping people who have parted ways or had unresolved conflicts to reconnect in a creative, loving manner. 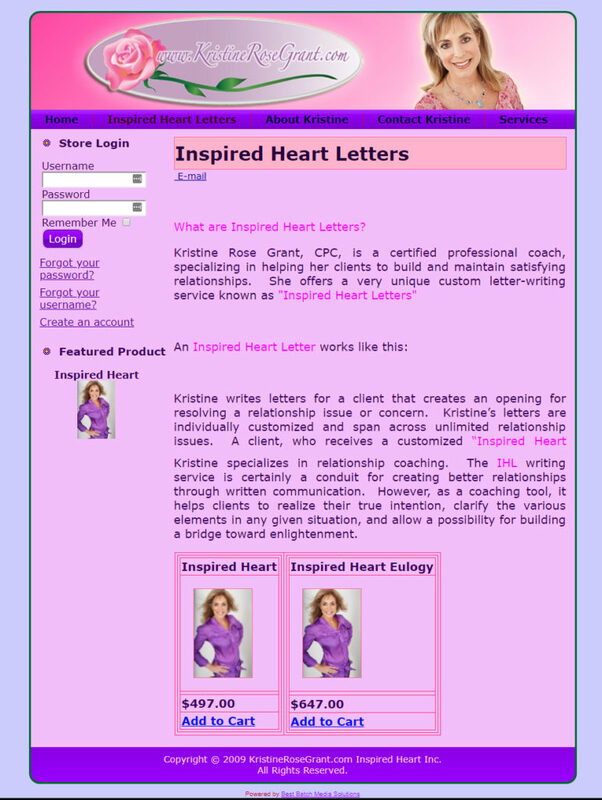 She does this by writing “Inspired Heart Letters” on behalf of her clients. These letters get to the heart of the relationship her clients want to rekindle or resolve and help her clients to express their feelings in a way that they themselves felt unable to do. Many of her clients have successfully reunited with their loved ones with the help of Inspired Heart Letters. Kristine’s old site was sorely outdated and poorly organized. And even worse, it simply did not reflect the power and beauty of her offerings. She needed a change especially because she was publishing her new book, “Relationshift: A Radical Way to Heal” and was planning to do TV interviews during her book launch. To express Kristine’s loving nature, we used a lovely photo of Kristine and enhanced the banner with the addition of lightly painted roses in the background, a subtle reference to her middle name. We selected a feminine script with a calligraphic style to indicate the creativity of her service. The color palette is pink, her favorite color, with a bit of Navy to ground the design. Roses are her symbol so we used a photo of a pink rose on a letter to offset the welcome copy. 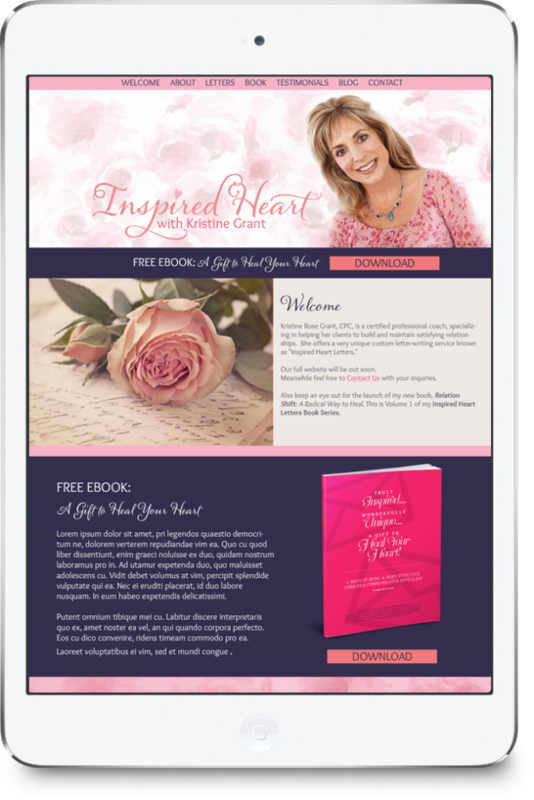 The free “How to Write Your Own Inspired Heart Letter” ebook she offers on the site was featured in a navy module to allow the book cover to pop and inspire the site visitors to engage. The result is a beautiful and clear expression of Kristine’s genius and a well-organized platform for building her tribe. The site is now live at http://www.inspiredheartletters.com. 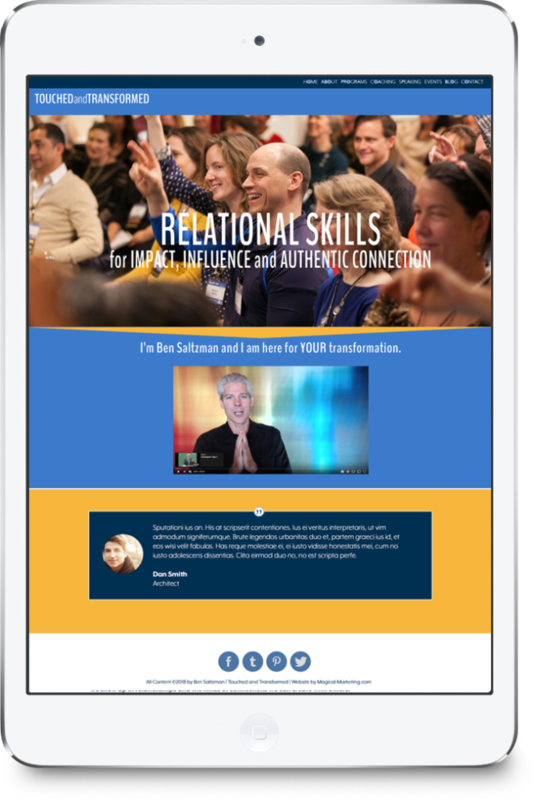 When I met Ben Saltzman, the Enneagram guy, at the JVX (big joint venture party in So. Cal) I stuck to him like glue trying to get insight into my own Enneagram type (I’m a type 6 and he had pointed advice that helped me begin to overcome my paranoid schitzophrenia!) As we talked, he mentioned that his website was too boring and that he needed an upgrade to reflect the power of his coaching and programs. So we decided to collaborate on his new site. There are a few things we needed to learn about Ben before moving forward with the site. One was that he values deep, authentic connection above all else. The other was that his aesthetic and style are quite minimalist. So there was going to be no wild colors or nebulas or anything like that. We started with a nice light blue, and then added a darker blue. And then a bit of gold and white. That was it! Then we decided the best way to communicate the powerfully transformational personal work Ben does was by showcasing full-sized photographs of real clients from his live events. On his old site he had great photos already, they just were not displayed beautifully and the feeling tone was off. We also made sure the copy was written from the heart and engaged the reader on a personal level. The result is a clean and simple yet emotionally engaging online platform that allows Ben to market to his high-end corporate and royal clientele as well as to his peers who are seeking a life-changing experience. The graphic is modified slightly to showcase the important elements from the Home Page. Site is due to launch in June. We will update this post with the link when it is ready. 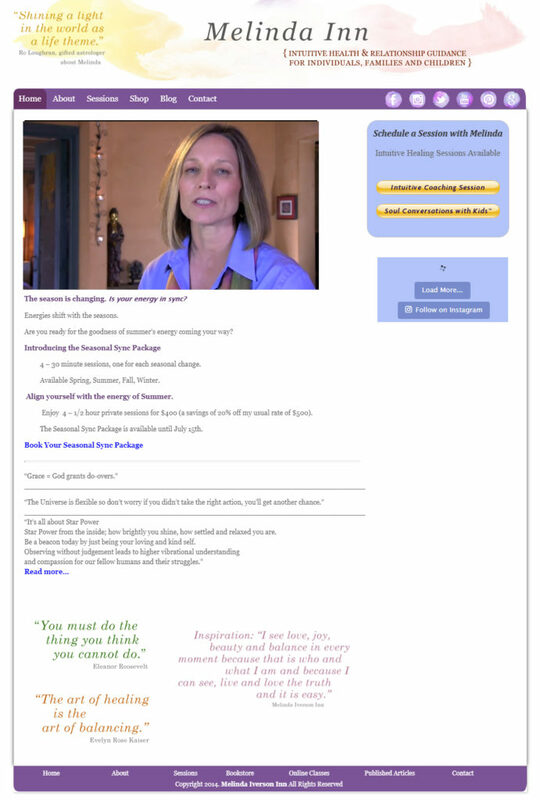 Melinda Iverson Inn is a talented and brilliant intuitive healer with a mission to help empower people on their own self-healing journey. Her old website did not present Melinda in a professional way. It was outdated and she was ready to upgrade her brand and online presence significantly. Then we clarified her message and wrote the site copy to be authentic, engaging, and inspire the actions she wants her site visitors to take. It was important to Melinda that her message of empowerment came through clearly. Then we selected the dragonfly as her symbol for the wisdom of transformation and adaptability in life. We designed a logo for her that is simple, professional and yet hearkens back to nature. Melinda is also a minimalist and wanted very neutral colors to set her apart from the “New Age” crowd. Her professional photo set the tone for the rest of the design, which was enhanced using photos from nature. April Blake has several out-of-the-box ways to help her clients to rejuvenate and restore their body, and she needed her brand and website to better reflect her uniqueness. Her old website was not bringing in her ideal clients (open minded people seeking proven natural self-healing solutions) and just felt off to her. First we wanted to clarify April’s uniqueness through her message. We established that she helps people who are open to natural self healing to uncover the underlying emotional conflict beneath their illness or ailment with advanced technologies and practices. Her special processes allow people to experience balance, freedom and peace while empowering them to heal themselves physically, emotionally and spiritually. We wanted to convey this message through a unique aesthetic that brings in symbols of importance to April. Through our collaboration we developed a unique aesthetic that she feels is a good representation of her and her service. The butterfly is her favorite symbol for transformation, and the one we found has a remarkable similarity to the light products April offers. Her colors turquoise and gold are displayed prominently in the banner giving a artistic feel and the sense of light. 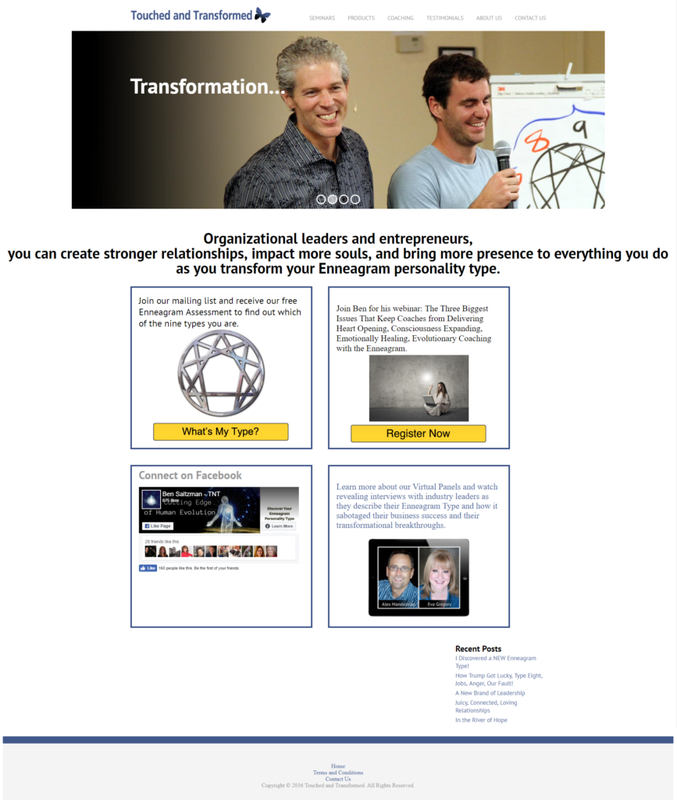 We are still in development on the site and we plan to add more elements to inspire engagement. We will post here when the site is live. WANT YOUR OWN BETTER ‘AFTER’? If your ‘before’ website is not working for you, doesn’t represent you well, is not mobile friendly, or doesn’t bring you the right customers, it could be time for an upgrade. I am making space available in my calendar to help you understand what’s working or not working about your site, and discuss your best next steps, including how the Magical Marketing Team and I can help you attract your Soul Tribe online. If you are ready for your own better “after” then please apply for your Magical Website Analysis at http://www.magicalwebsiteanalysis.com and I’ll get back with you to schedule. Hi Christie, thanks for your kind words. Yes I do branding for all applications. Feel free to apply for a magical strategy session to explore your needs together. I loved the last one – I could feel the energy. 2nd favorite is pink one with rose – it feels gentle. I love the last one–In Light 4 Life. 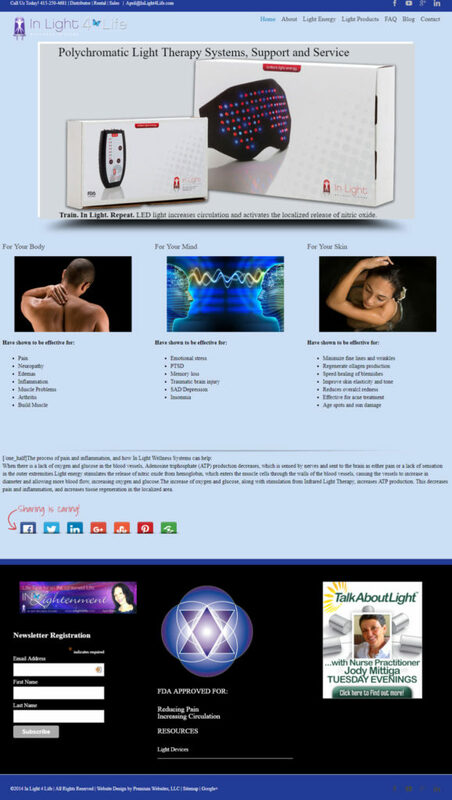 All are definite improvements over their “befores” and attractive to my eye, but Light 4 Life REALLY attracts me –perhaps because I might need her services?.